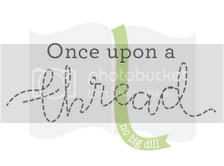 Katy at No Big Dill has been doing a really neat series this month called Once Upon a Thread. 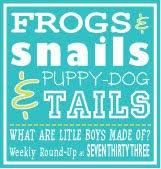 Its all about kids clothing and activities inspired by children's books! 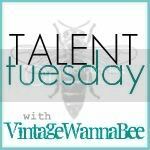 If you haven't already, go check out her blog and all the fabulous guest bloggers she's had this month. I've had so many ideas of book-inspired outfits, but as usual many a mishap has happened along the way, so all I have to show (so far) is my interpretation of The Ugly Duckling by Hans Christian Andersen. The Ugly Duckling feels sad and out of place among her yellow feathered companions. And she's happy to discover that she is, in fact, a Beautiful Swan! 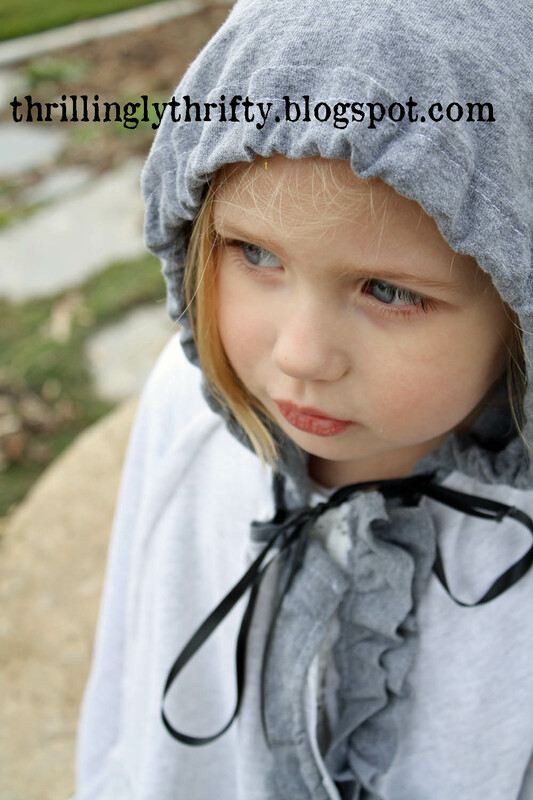 The grey Ugly Duckling Cape was made from upcycled t-shirts. The Beautiful Swan dress was made from an upcycled lace tablecloth (lining made from a white sheet). 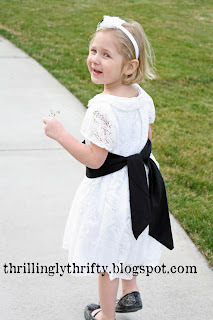 A black broadcloth sash helps the dress look less baptism-y. 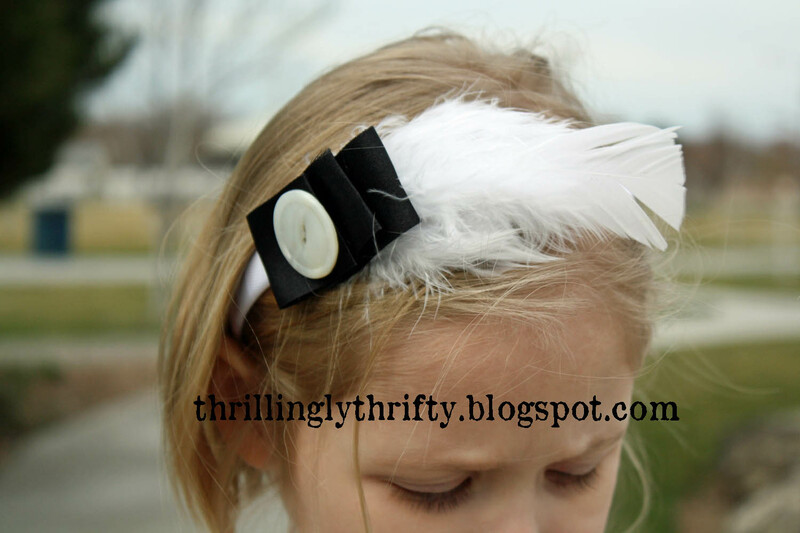 The headband is a white store-bought headband with feathers, ribbon, and a big white button glued to the side. Nice and easy! The best part about this outfit...its perfect for twirling! What a great interpretation! 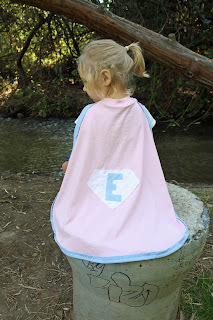 Love the cape and the dress! That is a beautiful dress and I love the idea. That is a favorite book of mine. How cute! I love your creations, great job! So, so adorable! 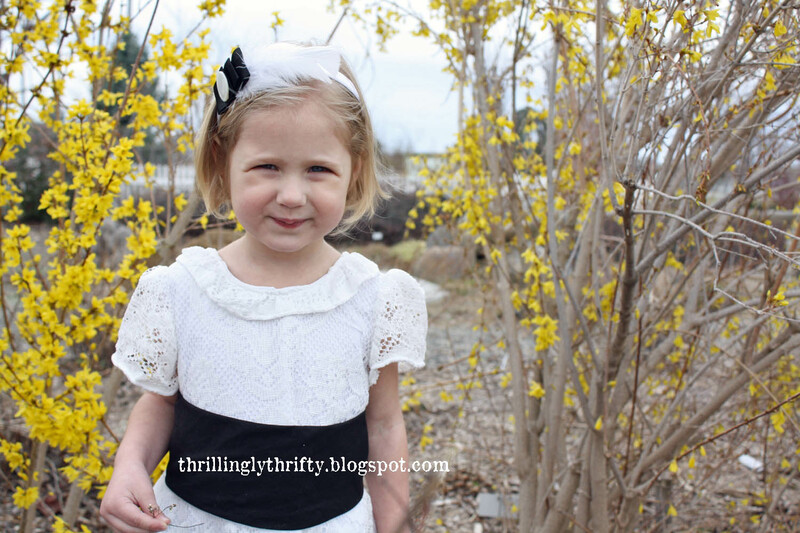 I love that you used a lace table cloth! Perfect! I hope you'll link up to Make It Wear It Thursdays @ TheTrainToCrazy.com! Love the ruffles on the cape! Her headband is also so cute! OH MY WORD! This is amazing!